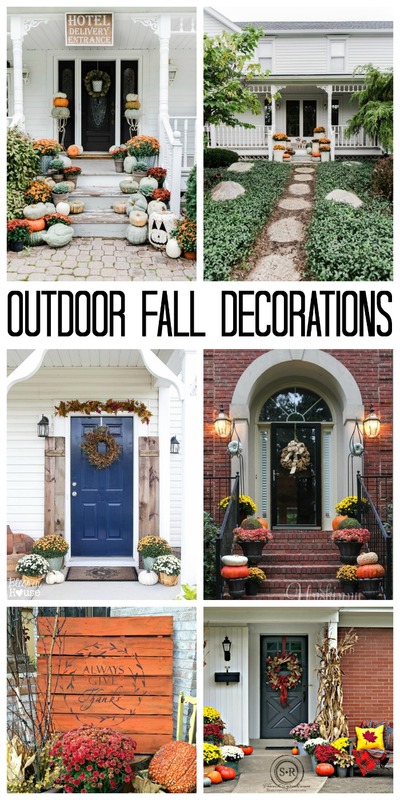 I dream of outdoor fall decorations all year long. 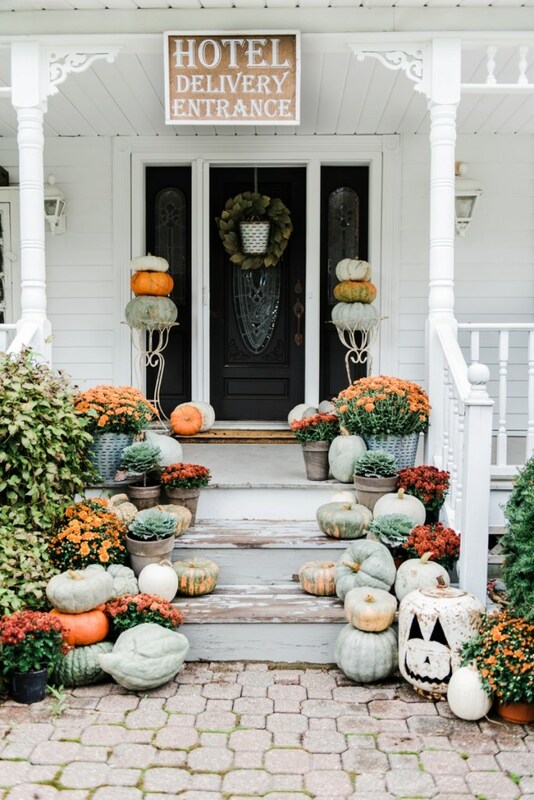 Adding a touch of rustic farmhouse style to my porch in the form of pumpkins, mums, and more just makes my heart pitter patter. I was gathering a bit of inspiration for decorating this year and thought I would share my finds with y’all. 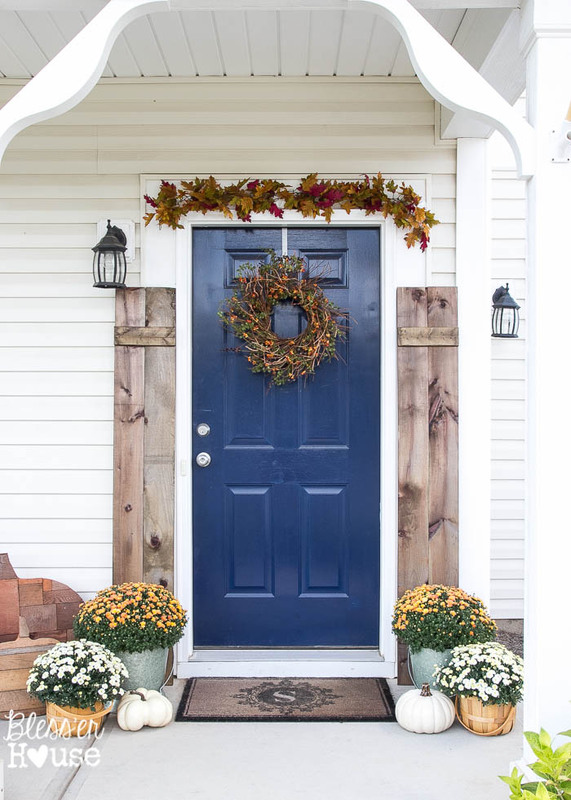 Get inspired and create the porch of your dreams. I am actually going to start with my porch from last year. I want to change things up this year but you may get inspired with a few of these ideas. My favorite part? That olive bucket! Go a bit more towards neutral tones but still have everything scream fall. 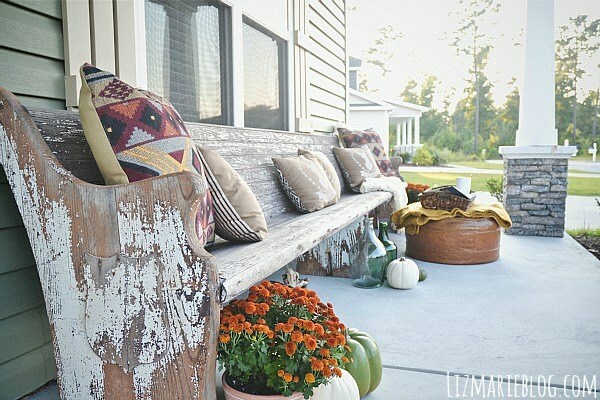 I just had to include this idea for adding a rustic pew to the porch! I don’t even know if I can name just one favorite part from this image. The sign, that wagon, the old door, all of it! 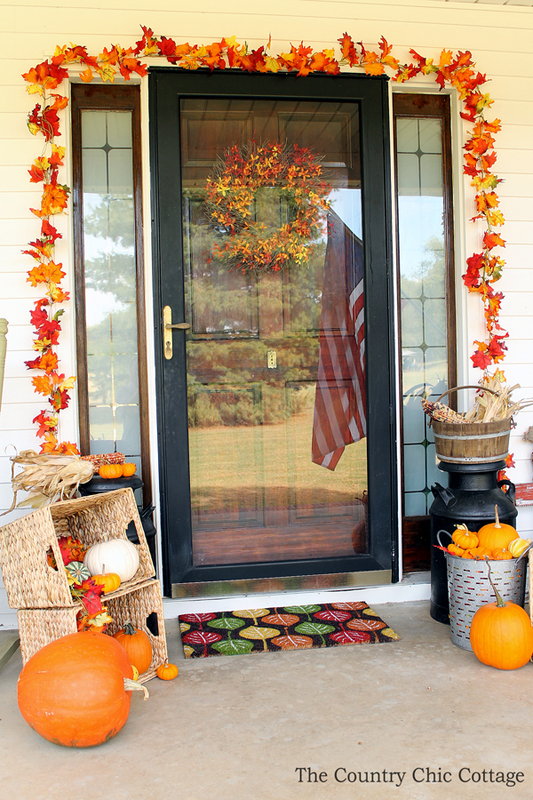 That colander on the wreath just got me y’all! Sometimes simple is all you need. I might just need a few stacked pumpkins in urns. All of those crocks! Need we say more? This image makes my heart sign. 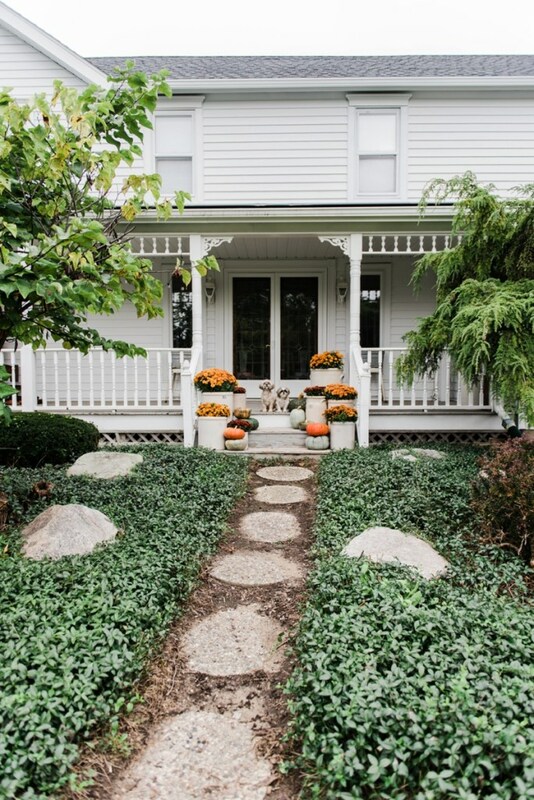 If only my front porch looked like this one to pull off this style! 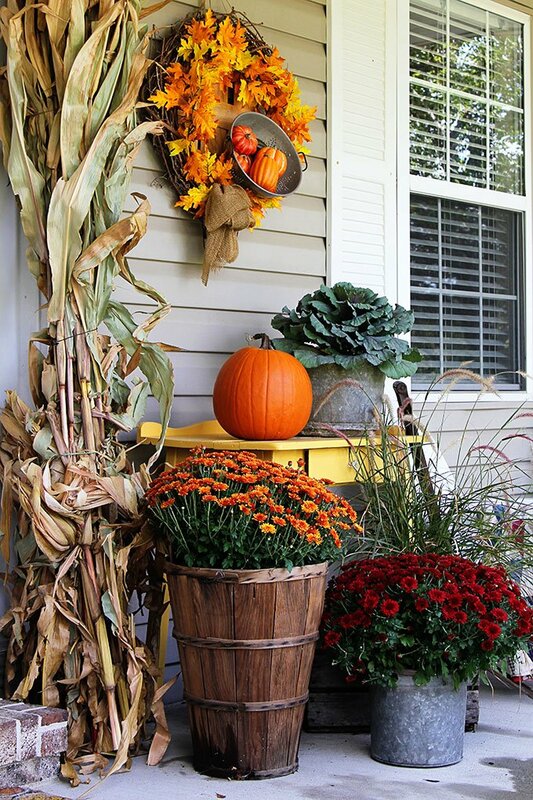 This is bright, cheerful and yet oh so fall! 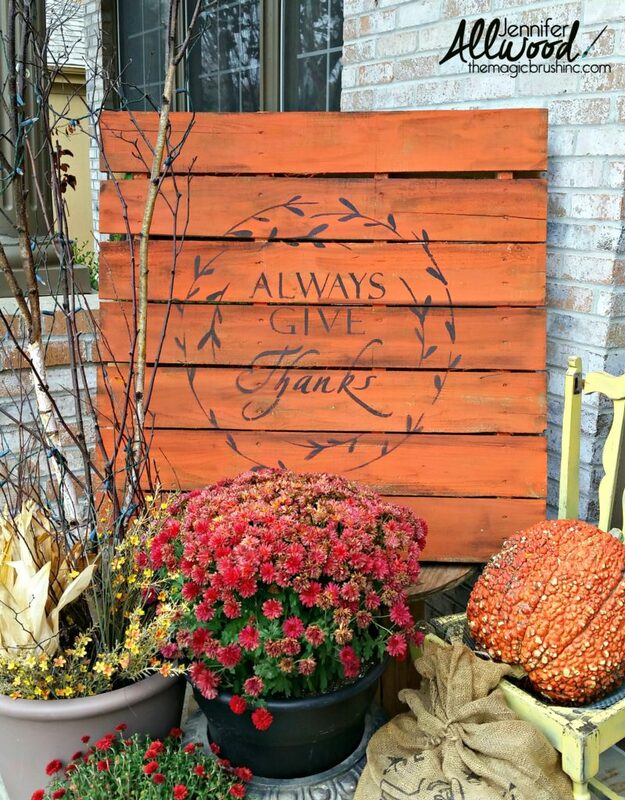 Need a bit of decor for your porch? Try making this pallet art. It is just perfect! 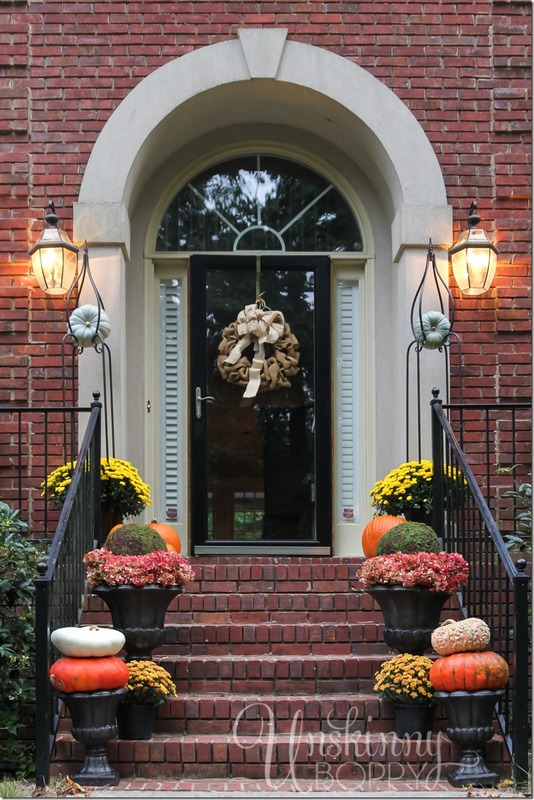 Are you inspired to add your own outdoor fall decorations to your home? 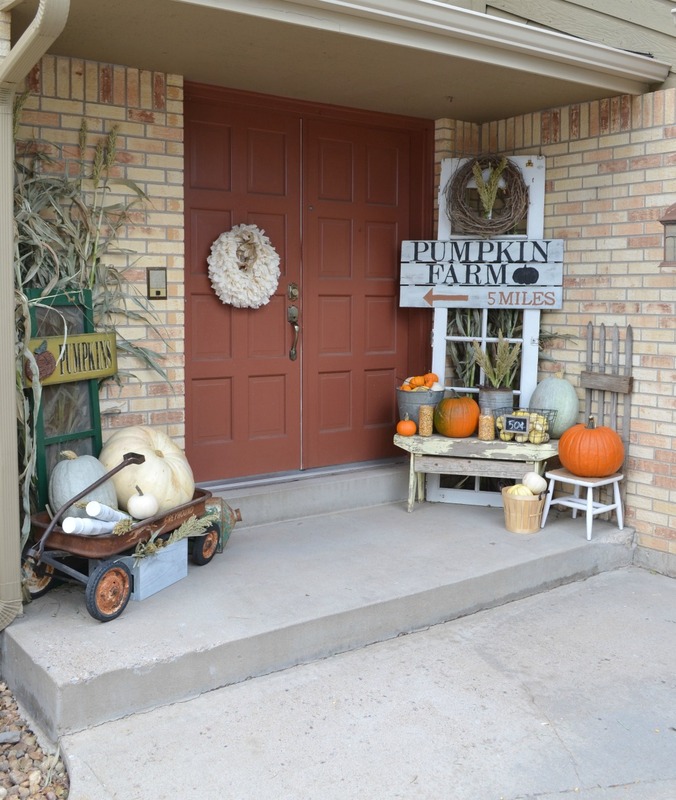 Will you be adding a bit of farmhouse style? I am off to plan my own front porch so y’all stay tuned to see the results. next post: Flower Pot Lighthouse: Make Your Own! A lot of good ideas! Unfortunately I don’t live in a country/city where fall feels this way. Such goo ideas and so colourful! 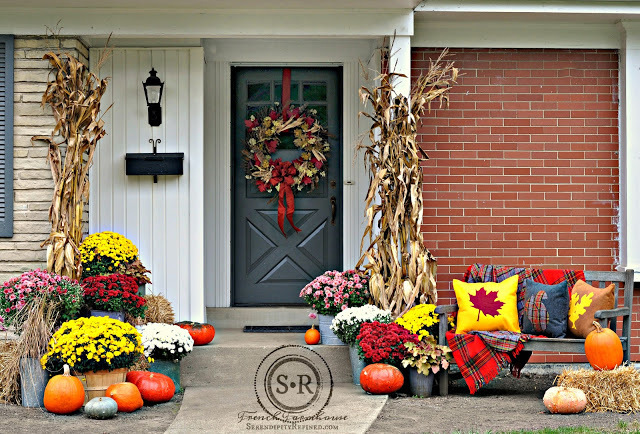 I love the fall decoration and the red and yellow porch decor is just amazing.